Archived Photo. Credit: State Library of New South Wales. 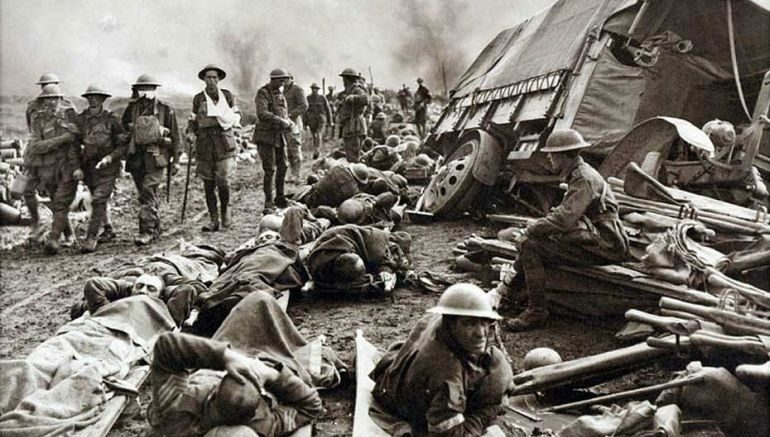 According to researchers from Hudson Institute of Medical Research in Australia, a WWI-era antiseptic has been ‘revived’ in lab conditions – and the subsequent analysis has shown promising results when it comes to countering antibiotic resistance and even preventing common cold. The simple medication in question here pertains to acriflavine, comprising a reddish-brown powder derived from coal-tar. Now from the historical perspective, the antiseptic was in popular usage since the early 1900s, with its application as a topical treatment for preventing infection of flesh wounds. To that end, the remedy was used for treating a range of health issues, from urinary tract infections to gonorrhea. However by the 1940s penicillin rose in prominence, and since the last 70 years, it became the crucial medication that is at the fore of battling bacterial infections. But unfortunately from the medical perspective, penicillin’s days are seemingly numbered, primarily because some of the deadliest pathogens of our world have mutated into strains that are not recognized by the familiar compositions of penicillin, and thus can’t be countered by the antibiotic. When translated to baleful figures, antibiotic-resistant bacteria kills around 700,000 people per year from around the globe, with numbers expected to rise to a whopping 10 million per year by 2050. The effect is two-fold – acriflavine directly affects the bacteria, and then you get the activation of the immune system through the ‘STING’ pathway, which helps to clear the infection. To that end, the team tested the drug on common cold virus (derived from human lung tissue). The results showed that the cells that were treated with acriflavine three-days before the onset of the infection had a faster immune response to the virus, while the same time the virus proceeded and spread at a slower pace than in control cells. In simpler terms, according to the researchers, the patient treated with the drug wouldn’t feel as sick, while the infection is also expected to be cleared out at a faster rate. Our study indicates that acriflavine stimulates the host immune system, rather than simply killing bacteria, suggesting it wouldn’t be as likely to drive mutations in bacteria – showing a safeguard against resistance and a potential alternative to current antibacterial drugs. Lastly, as for the practical side of affairs, the researchers are yet to conduct clinical trials that could comprehensively gauge the antiseptic’s effectiveness in real-time scenarios. And given the drug’s relative cheapness and its existent usage pattern in developing countries, such trials could possibly be achieved (without administrative delay) in the near future. And interestingly enough, since we are talking about a slice of history and modern combat against infections, a previous (unrelated) research also established how a recreated potion – concocted from a list of assorted ingredients mentioned a 9th century Anglo-Saxon manuscript, did actually demonstrate its effectiveness in dealing with the stye-causing bacteria MRSA. This study was originally published in the journal Nucleic Acids Research.